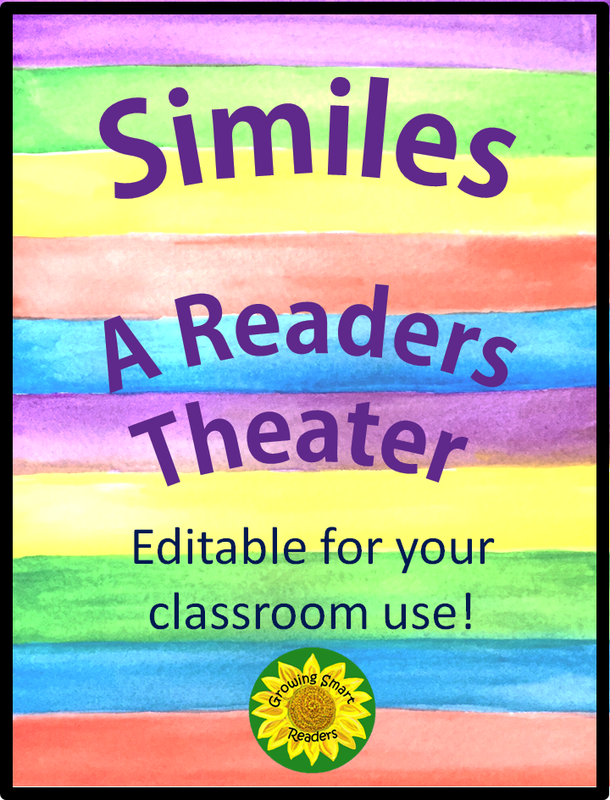 The Best of Teacher Entrepreneurs: Are You Teaching Similes? A couple of weeks before spring break, we were learning about similes...and how they make our writing more vivid because of the pictures they create in our minds. Some really got it...while others just needed more experience playing around with this figure of speech. So out of need, I came up with a brief readers theater that seemed to work for them. Have you got a few theatrical students who can't wait to speak up? 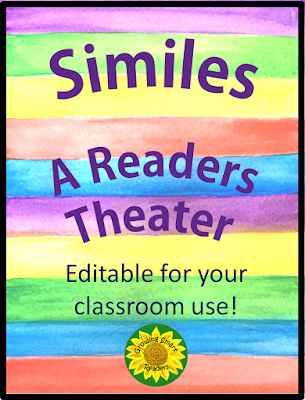 This set provides a great opportunity to review or learn more about similes (for the dramatists or the hesitant readers), as well as practicing reading with fluency and confidence. Use the script as is, or edit your own text...including altering the number of and names of the cast (readers). As is, there are twelve parts, but you can split reading parts, or combine them depending upon the number of students you have in your group. Add more voice and "character" to the script as you see fit. I absolutely love readers theaters, and it's just so easy to do...and usually a lot of fun...but without the big hassle of putting on a play. Kids learn a lot without pencil and paper! They feel no real pressure as they practice reading. I always tell them that the first reading is supposed to be rusty. Struggling readers use their memory and comprehension to facilitate their fluency. Everyone is involved...nobody gets left out. Thanks so much for checking this out! Visit me at Growing Smart Readers, where you'll find plenty of free and priced engaging ELA resources.